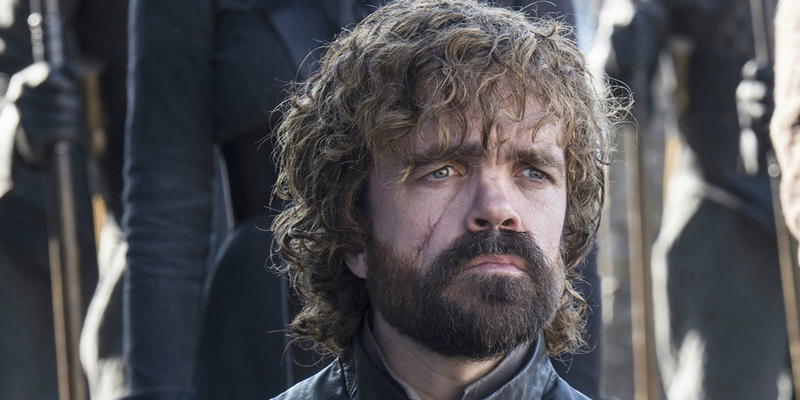 Peter Dinklage promises that Tyrion Lannister will get a beautiful ending on Game of Thrones. Viewers will just have to wait to find out if it’s a happy one. Dinklage has been portraying the fan favorite character for the show’s entire run, beginning in 2011. Based on George R. R. Martin’s A Song of Ice and Fire series, Game of Thrones is set to conclude when the show returns for its 8th season next year. The show originally hewed closely to the source material, but diverged in later seasons as it began to outpace Martin’s novels. With his sixth installment no closer to release, showrunners David Benioff and D. B. Weiss have decided that the upcoming six-episode season will also be the show’s last. Martin, certain Thrones could continue on for many years, was stunned by this revelation. Martin wasn’t the only one surprised and saddened by the news that Thrones would be ending its run so soon. Fans are already going through withdrawal, counting the days until the show returns. Season 7 ended in August 2017 and all viewers know for certain is that “winter is coming” sometime in 2019. Dinklage’s statement may not be entirely comforting, but it’s not exactly shocking either. Both the series and Martin’s novels have never been shy about killing off major characters, regardless of how beloved they may be. This is not to say that Tyrion won’t survive the finale, but Dinklage’s comments certainly leave room for that to be the case. Without Martin’s novels as a blueprint, little is known about how the series will wrap up. Sophie Turner, who plays Sansa Stark, feels that the ending may prove divisive among fans. The show’s final details have been shrouded in secrecy, with the scripts disappearing as soon as the episodes are shot. Fans have been scouring the internet for clues and some feel that Turner’s direwolf tattoo and Maisie Williams’s cryptic Instagram post both point to the survival of at least some of the Starks. The rampant speculation is to be expected. Game of Thrones has become a worldwide phenomenon and most viewers will be sad to see it go, regardless of whether the ending is satisfying or not. At least a prequel series was ordered earlier this year, so audiences won’t have to completely bid farewell to Westeros just yet.